Herbalox® Rosemary Extract Type QS (Quick Solubility) is a specially formulated natural antioxidant with excellent miscibility in cold brines for a clear, injectable solution to oxidation. Super-chilled water temperatures and competition among dry ingredients for available water often prevent complete solubility of functional ingredients. Incomplete solubility can cause processing difficulties, such as clogged injection needles or filters. Herbalox® Rosemary Extract QS is formulated for cold brine miscibility to optimize your finished product, which means it is 100 percent functional as a natural antioxidant. With standard agitation, Type QS enters into solution easily and your brine remains transparent after its addition. No ringing out and no clinging to your tanks. Transfer loss is minimized and equipment malfunctions, such as clogged injection needles or filters, are avoided. The result is a flavorful product with a clean-cut face when sliced. 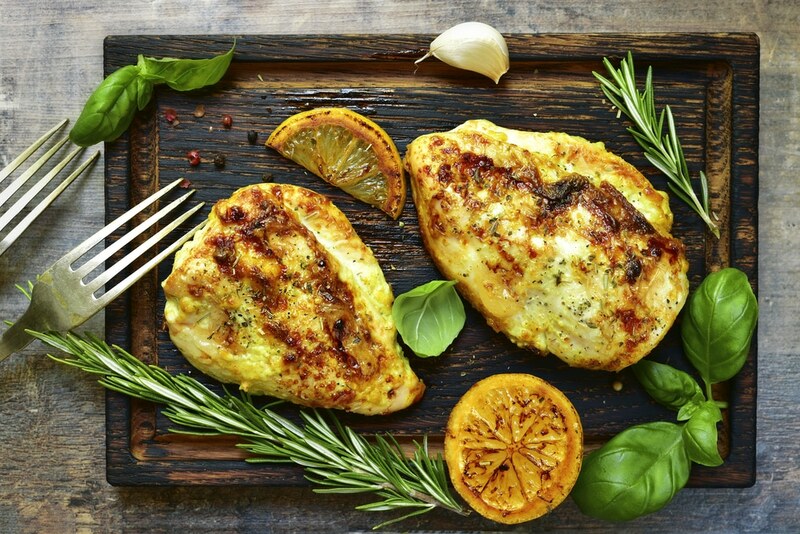 Herbalox® Rosemary Extract Type QS was added to a typical brine solution of precooked chicken thighs and fresh chicken breasts. A control sample and the Herbalox® Rosemary Extract dosed sample were then held in frozen storage. 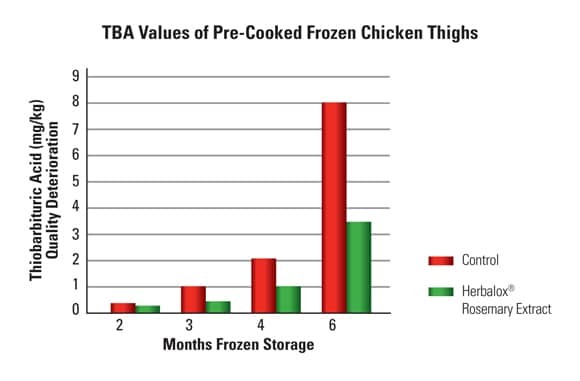 Thiabarbituric Acid (TBA) quality deterioration was measured over several months of frozen storage. The use of Herbalox® Rosemary Extracts and Duralox® Oxidation Management Systems may be covered by the following U.S. patent: 7,037,543.